We all have them- those t-shirts we just can’t let go of. Even if they are worn out, faded or no longer fit, we can’t seem to let go because of the fond memories they hold. It could be a concert t-shirt from your favorite band, or a college shirt that remind you of the good ol’ days, or maybe it’s one of your child’s tiny tees that they’ve grown out of. They are filled with memories so you can’t let go, but they are taking up space in a drawer or box collecting dust. 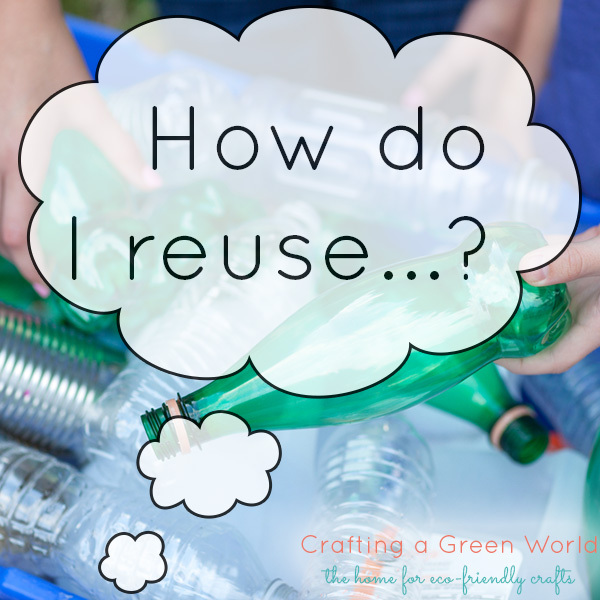 If you have some craft and sewing skills you can turn your old t-shirts into upcycled, repurposed and memorable items. Like a pillow. It’s easy to cut an old t-shirt into a square and stuff it with stuffing or make it the right size for a pillow form. There are instructions all over if you need them and Savvy Seams has a nice tutorial to turn a t-shirt into a zip off pillow cover to put over a form. Maiden Jane has a fancier tutorial for creating a pillow with the t-shirt and other fabric. 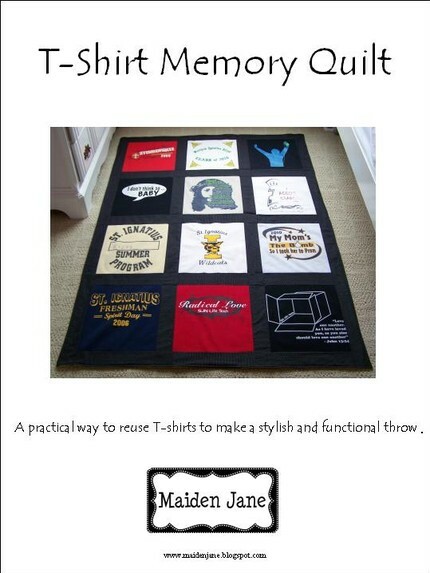 If you have quite a few t-shirts you’d like to save, consider turning them into a quilt. I am considering collecting some of my kids old t-shirts and creating a quilt for each child. This would be a great graduation gift or a great way for me to always have my babies close even once they’re all grown up. Goosetracks offers free DIY t-shirt quilt instructions and if you’re a non-sewer they offer quilt making services as well. If you are sew challenged a couple other places offer t-shirt quilts made to order too- Tee-quilts.com and The Quilt Loft both offer reasonable quilt making services. You send in your shirts and they make you a quilt. If you want a great quilt pattern MaidenJane has one for sale on Etsy. 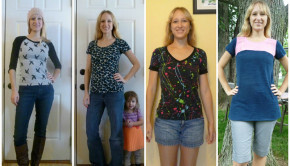 QuiltBug has some fabulous free tips to help make your t-shirt quilt a success. 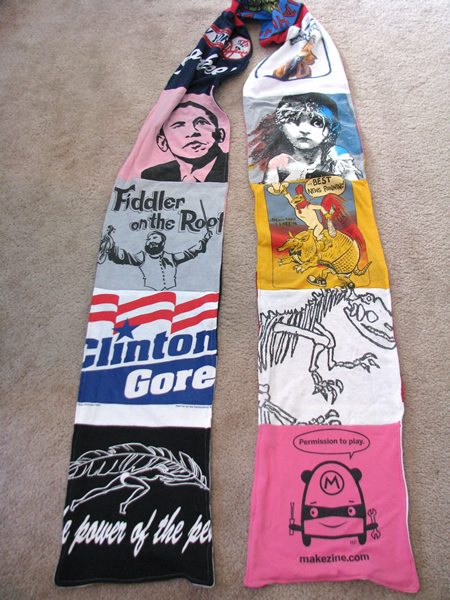 I found this idea at Craftzine.com, a memory scarf made from t-shirts. That’s a great concept. 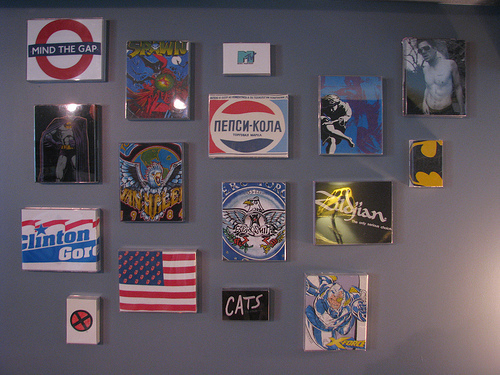 If you’re looking for something with a little less sewing involved you could turn your old shirts into fun wall art. 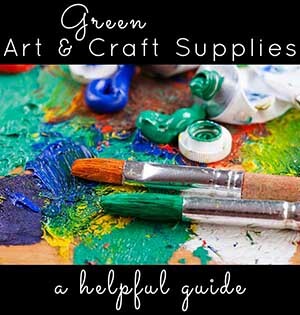 FaveCrafts has instructions. I think I would alter the instructions a bit and not use Styrofoam instead put the shirt over a wood frame, maybe over a wood and canvas frame. Another option would be to place the screen print square or rectangle of the shirt in a simple frame. Or stretch the fabric over a wooden frame, just like canvas is stretched over a wood frame. Another sew-less craft is to save an old shirt in a shadow box frame, maybe combine it with some other memorabilia. If it was a concert t-shirt and you still have the ticket stubs that would be a great combo. If it’s a child’s t-shirt you could combine the shirt with some photos or trinkets that fit the theme. Perhaps if it was a summer camp shirt place a few small crafts, a bracelet or anything they made at camp in with the t-shirt. You could also use a t-shirt to cover a scrap book then fill the book with memories. 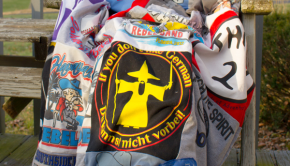 What crafty way have you saved an old t-shirt or made it into something memorable to use or display? So cool! I wish I knew how to sew so that I could try that scarf one. I love how it’s both ‘green’ and nostalgic. i’ve remade old t-shirts into a number of cushions over the years – especially the heavily embroidered ones that kids seem to get at times. one of them was a pyjama top with ‘tigger’ embroidered onto it. made it into a cushion with little pom pom edgings and gave it to my niece – 3 years on she still loves it. and the pom poms are still on it!! Would you be interested in posting this blog on BigGreenHead.com? 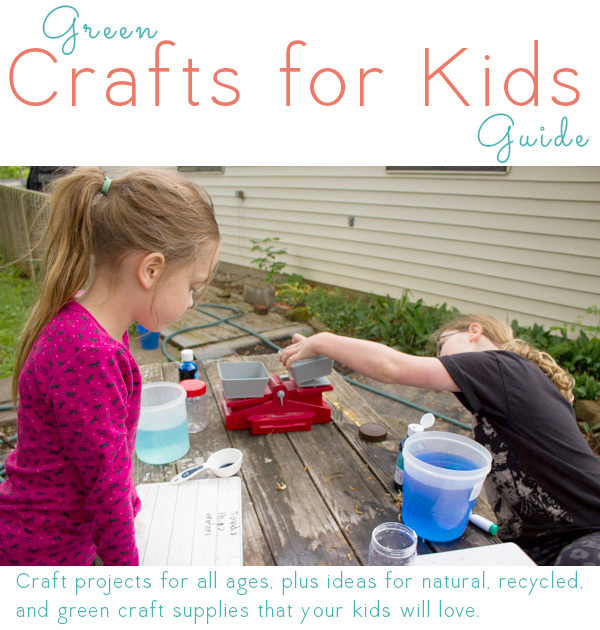 We are a green website but not necessarily craft focused. 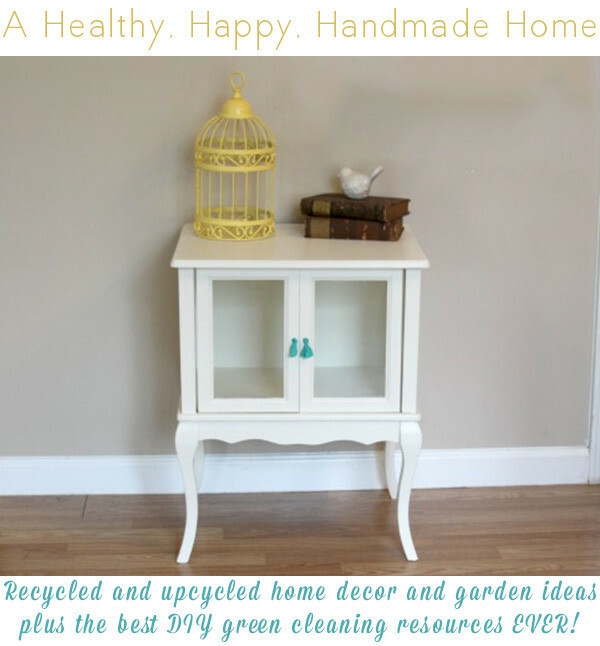 I love the idea of reusing old things and creating new and I know our BGH followers would appreciate this. I’ll have to check with the editor about reposting- might need to just post a snippet from it then link back to this orginal post. 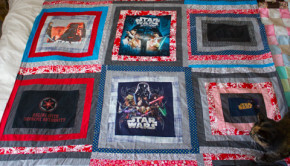 What great projects for old T-shirts, especially like the wall art and the quilt. Now, with the part of the tshirt you have left….the make great kid painting smocks! The comments add some additional great ideas. 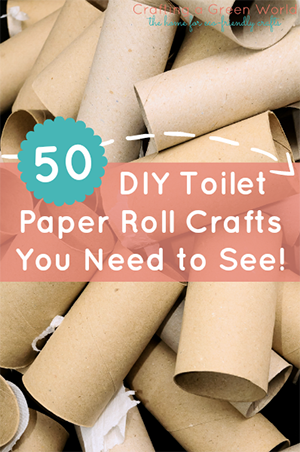 All of these ideas are awesome! 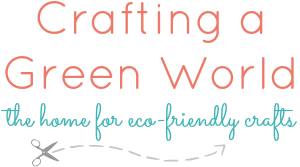 I am totally bookmarking this page for when I learn to use my sewing machine…..finally…lol. I am all about greening the world. I found this site on stumbleupon, and thank goodness. 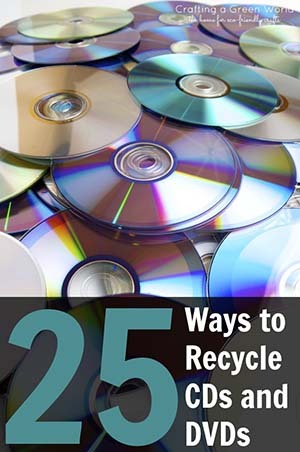 I’ve been donating my old t-shirts but I’m going to try some of these ideas. 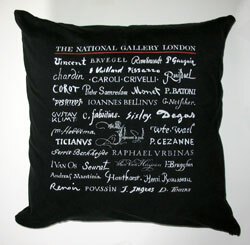 I especially like the pillow one. Thanks for sharing! when my son and his cousins were small, I made pillows out of their favorite t shirts but left them in the form of a t shirt. 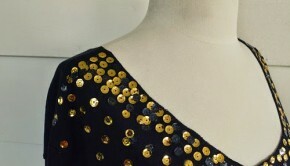 Turn inside out, sew front and back together at hem and sleeves. Through the neckline, turn right side out again. Stuff wuth fiber fill and whip stitch the neckline closed. These were fun for the kids to hold on to and I could through them right in the washing machine! I use them as grocery bags: cut the arms off, leaving the stitching for reinforcement–these are your handles. The neckline–either leave it intact-say on a scoop or V-neck otherwise do the same thing you did w the sleeves, again leaving the stitching for strength. This is the top of the bag–your design stays right side up-a big plus for me !~! Now turn it inside out and sew the bottom across and if so inclined, box the corners. One could decorate a plain shirt with applique or embroidery, or just love the feel of some of your favorite shirts as you hang them from your shoulder for an old familiar feeling. Adult small and med work best but any size can do by creating new side seams. Sew seams, all of them, twice with 12 or so stitches to the inch. Turn it right side out and Ka-Boom, you are rolling. No one mistakes my bags for theirs anymore !~! Yes, and so can you. I will Answer Q’s via email. I used mine to make a scrap woven rug. It is nice to be able to feel the shirts under my feet and look down and see the orange from the concert and blue from high school. A plus is that it is totally washable. I love these ideas. I think you could just turn a t-shirt inside out, sew it closed, and stuff it for a unique t-shirt-shaped pillow. The styrofoam is actually better for the wall art. The T-shirt fabric clings better to the styrofoam , whereas with canvas , wood or an empty space (if stretched over a frame) the cotton of the center part of the shirt starts to sag with a few weeks. I suppose you could try a spray glue to adhere the shirt to a different flat, but this can cause discoloration, so I’d try it with a not-fave shirt. 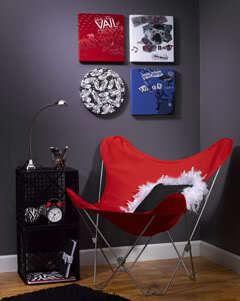 I don’t understand how an old tshirt can be used for wall art, cushion cases etc. Surely they are too worn out or stained for this? I guess it depends on the shape that the shirt is in? A shirt with a hole or stain that wasn’t on the part you want to save is the right candidate for those tutorials. I’m sorry to hear that you don’t have a shirt in your stash that will work! My mom makes t-shirt quilts all the time. They are awesome memories for whoever they are intended for. I love the scarf idea. I will have to get her on that one too. That would be great for any shirt with the small section on the front of the shirt or to make a pillow top as she has done before. I wish I had pictures of the pillow she made. I will have to work on that one.